Country music artist Alex Stern released her debut single Get Up Town on 16th April. 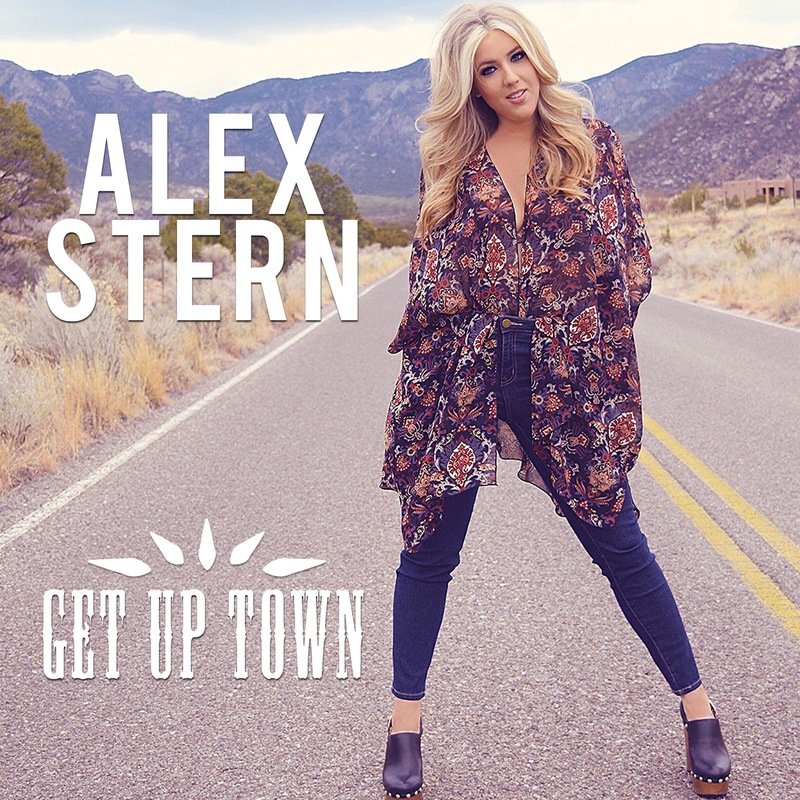 The punchy, upbeat track showcases Alex strong vocal and distinctive tone. With a pacey melody Get Up Town is led by the drum and electric guitar line, with, in my opinion, the verses being the strongest part, with less attention paid to the electric guitar. Lines such as "sing your story till your lungs give out" and "it's a battle but be fearless, fighting for your life" are delivered with a strong, gutsy feel that I am sure will lead to many listeners finding themselves drawn in and singing along to the track, I'd also be interested to know the response to this track live! The upbeat production merges with the strong message well to create an impressive track! My earliest memories of really loving country music are of loving the Dixie Chicks. When my mum drove me to school when I was little I remember always having a blast singing along to all of my favourite Dixie Chicks songs. From then on, I was hooked. They were my absolute favourite country group! As an artist I am influenced definitely by the powerhouse 90's country woman like Shania Twain, Faith Hill, and The Dixie Chicks. I love being inspired by both 90's female country and blending in current influences like Keith Urban and Miranda Lambert. As a songwriter, I really look up to Nicolle Galyon and Chris Stapleton. What can a new listener expect to hear from your music? My music is my diary. I pour my whole heart into the songs I sing and write in hopes that those who hear my songs and see me play, can connect to my story and the pain and triumphs I have experienced. "Get Up Town" is my love letter to Nashville and a celebration of the city that has both enchanted and inspired me. What is your favourite song to sing at karaoke? "Teenage Dream" by Katy Perry, such a jam! If you could open a show for any artist on tour right now who would it be and why? My dream would be to open for Miranda Lambert, Kacey Musgraves or Blake Shelton. They seem like such down to earth, hilarious people and it would be so awesome to get to share the stage with such talented artists. You've just released your debut single, did you find it easy to create the track? I wouldn't say it was easy but it was completely worth all of the hard work! I was lucky to work with my friend Jared Conrad who recorded and produced the song. He has such a great set up and he had such great instincts as to where the song should go. He is the best engineer, producer, life coach and friend. It was so much fun to put the whole song together! "She Don't Love You" by Eric Paslay. This song is one of the truest things I've ever heard. Genius melody and lyrics. Being a musician for me is so much more than just making music, for me it is all about being able to connect to my listeners and audience. My favourite part is being able to collaborate with other musicians and getting to tell my story. I love performing and feeling the energy of a live audience performing songs I have written! No path or career is perfect. The music industry is often stressful, unpredictable and risky. Even though some days are hard, being able to do what I love makes it all worth it. I feel so lucky to have such supportive family and friends who keep my spirit positive even during hard or difficult times. Can we expect to see you in the UK for any tour dates soon? That would be amazing! I have never been to the UK before and so it is on my list to visit and plan some shows! Thank you to Alex for her time! Get Up Town is undoubtedly a strong introduction to an artist who will, for many, be completely new. I'd definitely like to hear Alex record a ballad for her next single, I think her voice would work even better with a slower, more stripped back track. Definitely an artist to listen to!